Just a quick note and a thank you for joining us at the West Coast Mooney Group. We had an amazing turnout of 55 Mooney's at our inaugural fly-in back in April and we hope for many more great events together in the future. 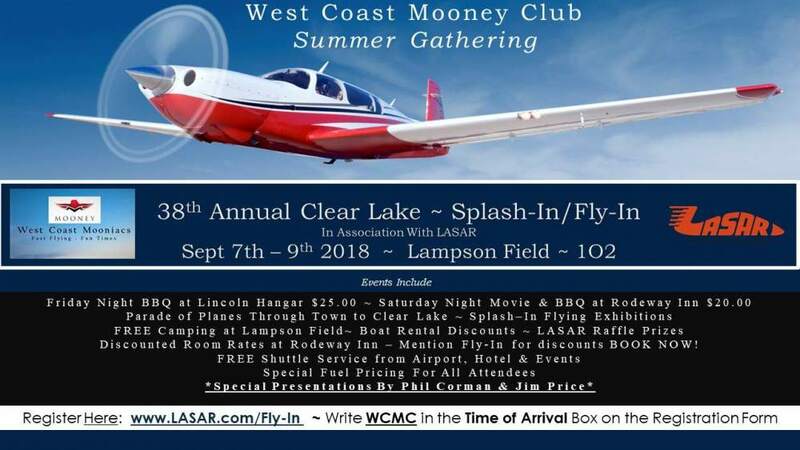 Please also join us on Facebook and Instagram at our West Coast Mooney Group pages. Our next gathering will be in September. See pic below. I hope you can join us.